PRICE REDUCED! Beautiful single story 4 bedroom 3 bath home, built in 2007, on a large 10,450+ sf (0.25 acre) lot with 3-car garage. Tankless water heater. Inside laundry with tiled counter and lots of storage. Wide concrete side yard with RV potential. Spacious kitchen with island, granite counters and backsplash, stainless appliances, and large pantry. Refrigerator is included. Kitchen is open to family room and breakfast area. Family room has a fireplace and backyard covered patio. Separate spacious living room/dining room with backyard access. Large master suite with backyard access. Not in flood zone. 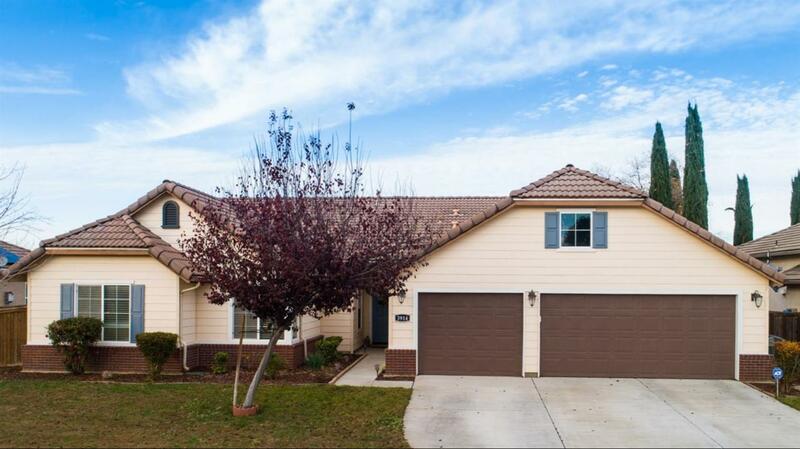 This home is move-in ready, and excellent schools! Listing provided courtesy of Richard Carlson of Cottage Realty.